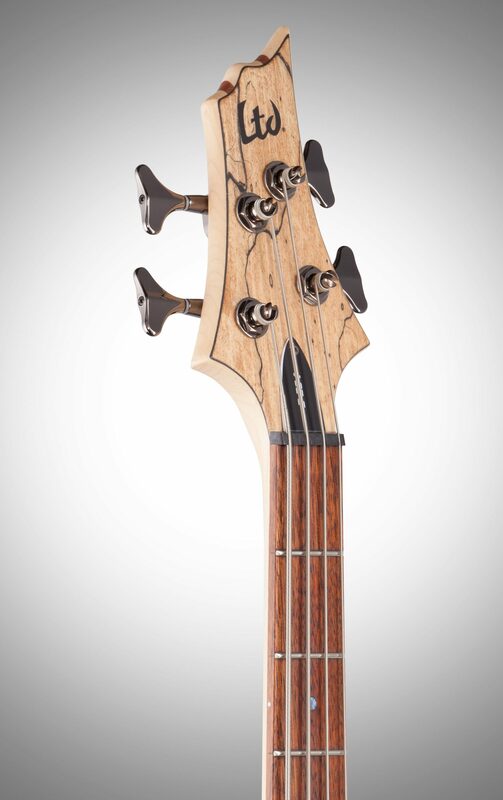 The ESP LTD B204SM Electric Bass yields incredible looks and a punchy, dynamic tone thanks to a beautiful Spalted Maple top on an Ash body! This wood combination provides great clarity and resonance. 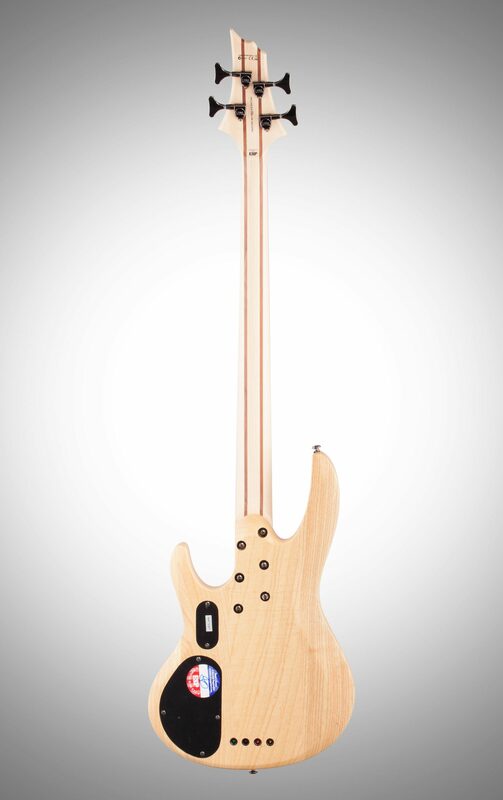 The ESP LTD B204SM also features a 5 piece Maple/Rosewood neck and a 24XJ-fret Rosewood fingerboard. ESP Designed SB-4 pickups and an ABQ-3 3-Band Active EQ provides great versatility to tackle any style. This review has been selected by our experts as particularly helpful. "Excellent Axe"
Sound: The sound quality is outstanding. As good as basses two or three times and more it's modest price. With Zzounds pay as you play option, almost anyone can afford this lovely axe. Feature: The materials seem to be top notch. The knobs are all pewter colored, and made of metal. They should last a long time. 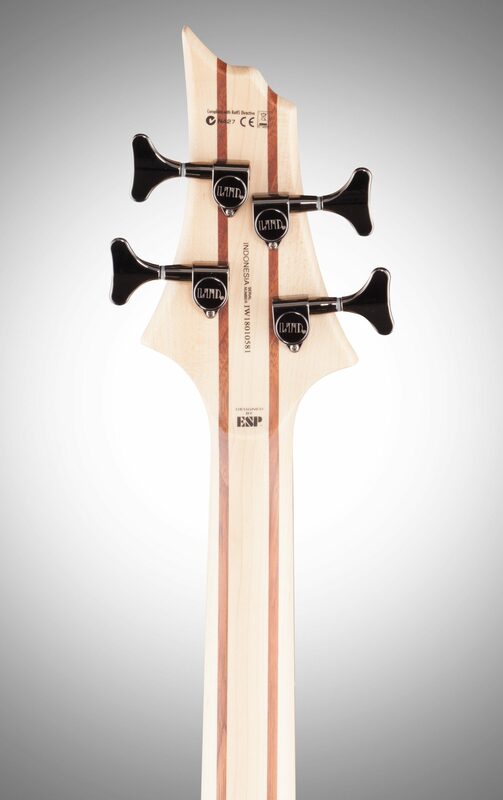 The matching colored ESP/LTD branded tuners are quite nice, and could be compared to Gotoh, or any other top name brand, in both quality and feel. Ease of Use: Easy to get the sound you want right out of the box. I simply had to tune it, plug it into my Focusrite Saffire Pro40, and I was getting great tones within minutes. Everything from low grunge to slapable funk tones, all easily accessed from the comprehensive 3 band active EQ, pickup blend control and volume knob. Quality: The quality is outstanding. 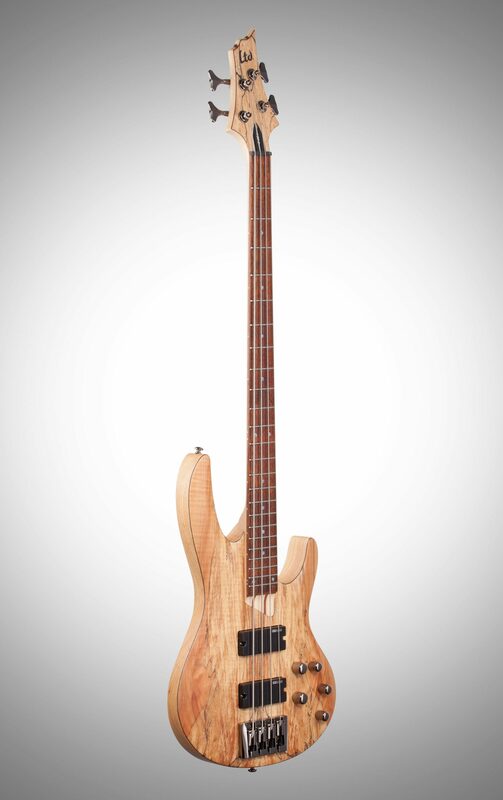 Easily compares with basses costing two to three times the price, and more. Not everyone will like the satin finish, but it works fine for me, as it's easy to maintain, clean and keep looking great. 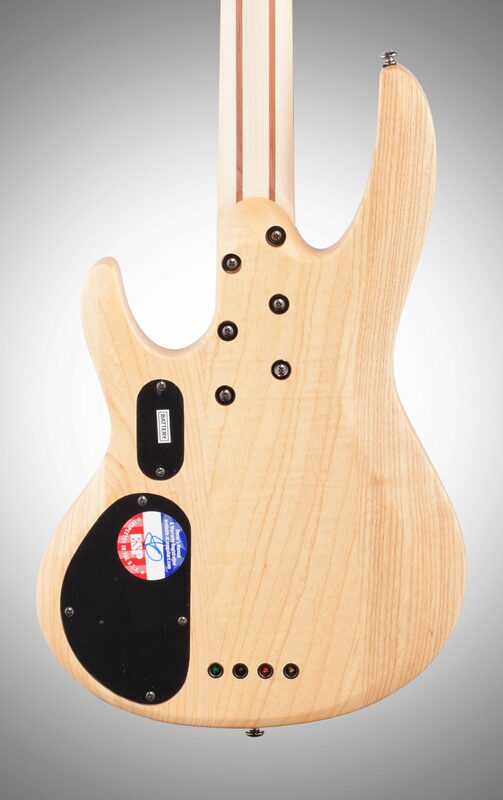 The neck is extremely straight, and the Indonesian craftsmanship seems to be as good I've seen from anywhere else. Value: The value of this instrument should not be underestimated. It is a phenomenal value at this price, and made completely affordable with zZounds easy payment system. Manufacturer Support: I haven't had to contact the manufacturer for support. The Wow Factor: As I've already said before: this instrument is simply gorgeous. It looks great mounted on my wall of guitars. 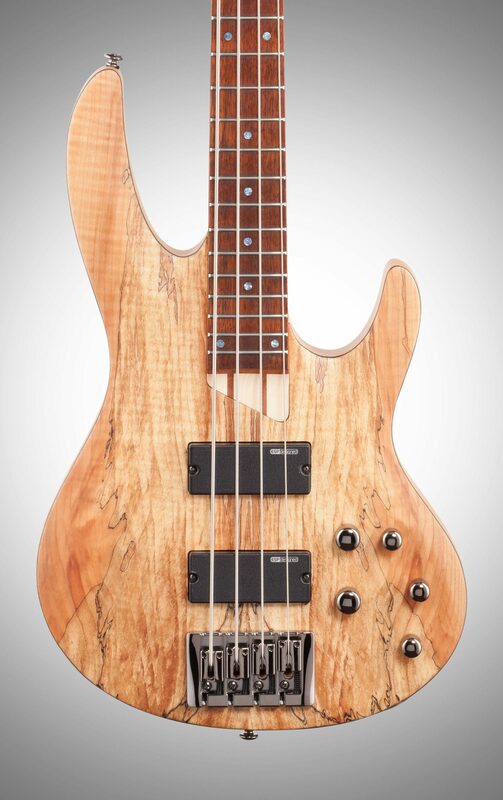 The spalted maple top is sublime. Overall: I'm loving this instrument. It's got heft, tone, and it's simply beautiful to look at. I bought this to replace a Michael Tobias Designs Grendel that I had lost in a freak accident. The tone on this beauty is easily as good as the Grendel was. It's got a lot of growl, and you can get the active EQ to overdrive, as well. I'm finding that the settings at the detented mid positions to be just about perfect. The Cleartone strings it came strung with are also quite good, and even though I ordered a set of Blue Steel Medium Gauge cryogenically treated strings to get my usual tone, I'm going to leave these on for awhile. The bass is quite heavy. The sustain is great, but it might be a bit tiring on stage for long periods of standing play. A comfort strap should alleviate any discomfort. Now I just have to find where I put them...hehe. I would have no hesitation recommending this instrument to anyone, and I am very pleased with this purchase. Style of Music: Rock/Jazz/Classical, with an emphasis on progressive rock. Overall: I own other ESP guitars, all incredibly nice, but in their price range, unbeatable!! Having said that, I was just amazed at the quality of this instrument. 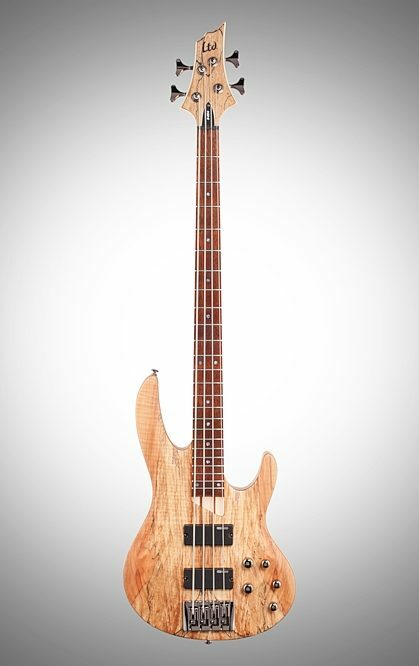 I'm picking up bass again after a bunch of years not owning one. I can't imagine a better guitar to get my chops together with. 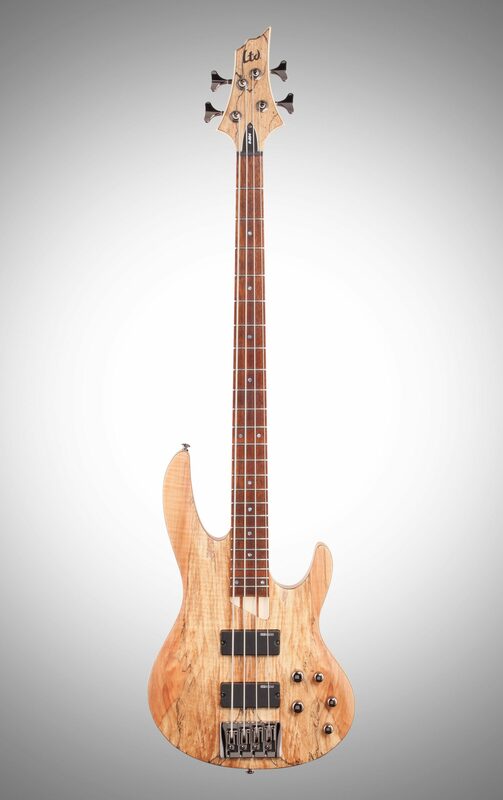 I've been doing this a long time, being in the retail end beginning in the late '60's, and have appraised MANY instruments, but if someone were to hand this bass to me, my estimate would have been WAY off! 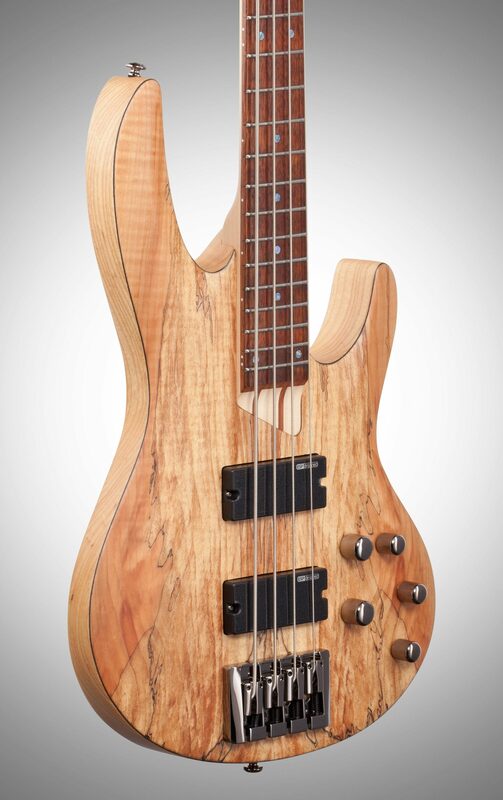 !The other reviewer of this bass said it looked like it should cost THREE time what it does. He speaks the truth!! Style of Music: I try to dip my toes into ALL of the musical ponds!!! !